129:0.1 JESUS had fully and finally separated himself from the management of the domestic affairs of the Nazareth family and from the immediate direction of its individuals. He continued, right up to the event of his baptism, to contribute to the family finances and to take a keen personal interest in the spiritual welfare of every one of his brothers and sisters. And always was he ready to do everything humanly possible for the comfort and happiness of his widowed mother. 129:0.2 The Son of Man had now made every preparation for detaching himself permanently from the Nazareth home; and this was not easy for him to do. Jesus naturally loved his people; he loved his family, and this natural affection had been tremendously augmented by his extraordinary devotion to them. The more fully we bestow ourselves upon our fellows, the more we come to love them; and since Jesus had given himself so fully to his family, he loved them with a great and fervent affection. 129:0.3 All the family had slowly awakened to the realization that Jesus was making ready to leave them. The sadness of the anticipated separation was only tempered by this graduated method of preparing them for the announcement of his intended departure. For more than four years they discerned that he was planning for this eventual separation. 129:1.1 In January of this year, A.D. 21, on a rainy Sunday morning, Jesus took unceremonious leave of his family, only explaining that he was going over to Tiberias and then on a visit to other cities about the Sea of Galilee. And thus he left them, never again to be a regular member of that household. 129:1.2 He spent one week at Tiberias, the new city which was soon to succeed Sepphoris as the capital of Galilee; and finding little to interest him, he passed on successively through Magdala and Bethsaida to Capernaum, where he stopped to pay a visit to his father's friend Zebedee. Zebedee's sons were fishermen; he himself was a boatbuilder. Jesus of Nazareth was an expert in both designing and building; he was a master at working with wood; and Zebedee had long known of the skill of the Nazareth craftsman. For a long time Zebedee had contemplated making improved boats; he now laid his plans before Jesus and invited the visiting carpenter to join him in the enterprise, and Jesus readily consented. 129:1.3 Jesus worked with Zebedee only a little more than one year, but during that time he created a new style of boat and established entirely new methods of boatmaking. By superior technique and greatly improved methods of steaming the boards, Jesus and Zebedee began to build boats of a very superior type, craft which were far more safe for sailing the lake than were the older types. For several years Zebedee had more work, turning out these new-style boats, than his small establishment could handle; in less than five years practically all the craft on the lake had been built in the shop of Zebedee at Capernaum. Jesus became well known to the Galilean fisherfolk as the designer of the new boats. 129:1.4 Zebedee was a moderately well-to-do man; his boatbuilding shops were on the lake to the south of Capernaum, and his home was situated down the lake shore near the fishing headquarters of Bethsaida. Jesus lived in the home of Zebedee during the year and more he remained at Capernaum. He had long worked alone in the world, that is, without a father, and greatly enjoyed this period of working with a father-partner. 129:1.5 Zebedee's wife, Salome, was a relative of Annas, onetime high priest at Jerusalem and still the most influential of the Sadducean group, having been deposed only eight years previously. Salome became a great admirer of Jesus. She loved him as she loved her own sons, James, John, and David, while her four daughters looked upon Jesus as their elder brother. Jesus often went out fishing with James, John, and David, and they learned that he was an experienced fisherman as well as an expert boatbuilder. 129:1.6 All this year Jesus sent money each month to James. He returned to Nazareth in October to attend Martha's wedding, and he was not again in Nazareth for over two years, when he returned shortly before the double wedding of Simon and Jude. 129:1.7 Throughout this year Jesus built boats and continued to observe how men lived on earth. Frequently he would go down to visit at the caravan station, Capernaum being on the direct travel route from Damascus to the south. 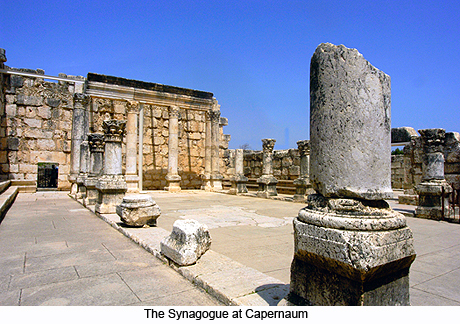 Capernaum was a strong Roman military post, and the garrison's commanding officer was a gentile believer in Yahweh," a devout man," as the Jews were wont to designate such proselytes. This officer belonged to a wealthy Roman family, and he took it upon himself to build a beautiful synagogue in Capernaum, which had been presented to the Jews a short time before Jesus came to live with Zebedee. Jesus conducted the services in this new synagogue more than half the time this year, and some of the caravan people who chanced to attend remembered him as the carpenter from Nazareth. 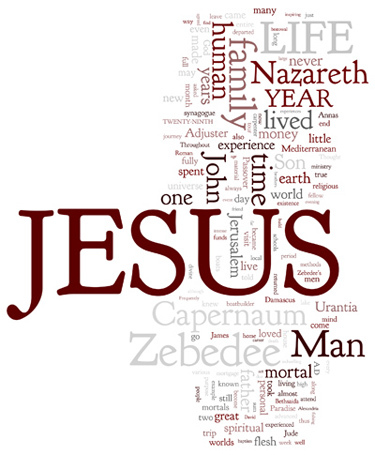 129:1.8 When it came to the payment of taxes, Jesus registered himself as a "skilled craftsman of Capernaum." From this day on to the end of his earth life he was known as a resident of Capernaum. He never claimed any other legal residence, although he did, for various reasons, permit others to assign his residence to Damascus, Bethany, Nazareth, and even Alexandria. 129:1.9 At the Capernaum synagogue he found many new books in the library chests, and he spent at least five evenings a week at intense study. One evening he devoted to social life with the older folks, and one evening he spent with the young people. There was something gracious and inspiring about the personality of Jesus which invariably attracted young people. He always made them feel at ease in his presence. Perhaps his great secret in getting along with them consisted in the twofold fact that he was always interested in what they were doing, while he seldom offered them advice unless they asked for it. 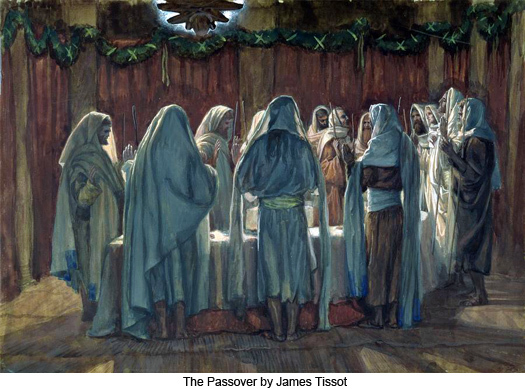 129:1.10 The Zebedee family almost worshiped Jesus, and they never failed to attend the conferences of questions and answers which he conducted each evening after supper before he departed for the synagogue to study. The youthful neighbors also came in frequently to attend these after-supper meetings. To these little gatherings Jesus gave varied and advanced instruction, just as advanced as they could comprehend. He talked quite freely with them, expressing his ideas and ideals about politics, sociology, science, and philosophy, but never presumed to speak with authoritative finality except when discussing religion —the relation of man to God. 129:1.11 Once a week Jesus held a meeting with the entire household, shop, and shore helpers, for Zebedee had many employees. And it was among these workers that Jesus was first called "the Master." They all loved him. He enjoyed his labors with Zebedee in Capernaum, but he missed the children playing out by the side of the Nazareth carpenter shop. 129:1.12 Of the sons of Zebedee, James was the most interested in Jesus as a teacher, as a philosopher. John cared most for his religious teaching and opinions. David respected him as a mechanic but took little stock in his religious views and philosophic teachings. 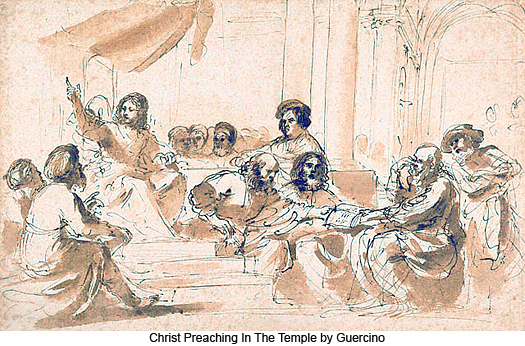 129:1.13 Frequently Jude came over on the Sabbath to hear Jesus talk in the synagogue and would tarry to visit with him. 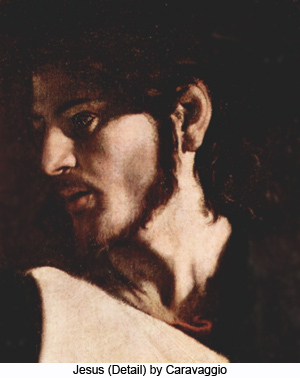 And the more Jude saw of his eldest brother, the more he became convinced that Jesus was a truly great man. 129:1.14 This year Jesus made great advances in the ascendant mastery of his human mind and attained new and high levels of conscious contact with his indwelling Thought Adjuster. 129:1.15 This was the last year of his settled life. Never again did Jesus spend a whole year in one place or at one undertaking. The days of his earth pilgrimages were rapidly approaching. Periods of intense activity were not far in the future, but there were now about to intervene between his simple but intensely active life of the past and his still more intense and strenuous public ministry, a few years of extensive travel and highly diversified personal activity. His training as a man of the realm had to be completed before he could enter upon his career of teaching and preaching as the perfected God-man of the divine and posthuman phases of his Urantia bestowal. 129:3.1 The whole of Jesus' twenty-ninth year was spent finishing up the tour of the Mediterranean world. The main events, as far as we have permission to reveal these experiences, constitute the subjects of the narratives which immediately follow this paper. 129:3.2 Throughout this tour of the Roman world, for many reasons, Jesus was known as the Damascus scribe. At Corinth and other stops on the return trip he was, however, known as the Jewish tutor. 129:3.3 This was an eventful period in Jesus' life. 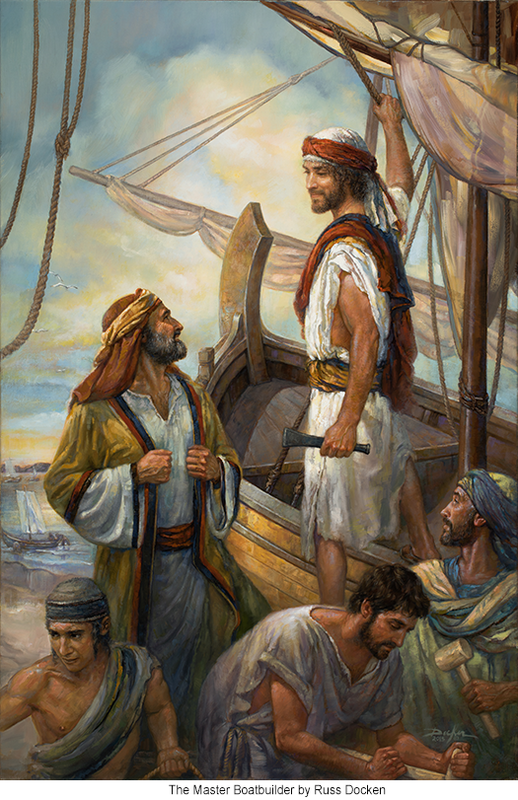 While on this journey he made many contacts with his fellow men, but this experience is a phase of his life which he never revealed to any member of his family nor to any of the apostles. Jesus lived out his life in the flesh and departed from this world without anyone (save Zebedee of Bethsaida) knowing that he had made this extensive trip. Some of his friends thought he had returned to Damascus; others thought he had gone to India. His own family inclined to the belief that he was in Alexandria, as they knew that he had once been invited to go there for the purpose of becoming an assistant chazan. 129:3.4 When Jesus returned to Palestine, he did nothing to change the opinion of his family that he had gone from Jerusalem to Alexandria; he permitted them to continue in the belief that all the time he had been absent from Palestine had been spent in that city of learning and culture. Only Zebedee the boatbuilder of Bethsaida knew the facts about these matters, and Zebedee told no one. 129:3.5 In all your efforts to decipher the meaning of Jesus' life on Urantia, you must be mindful of the motivation of the Michael bestowal. If you would comprehend the meaning of many of his apparently strange doings, you must discern the purpose of his sojourn on your world. He was consistently careful not to build up an overattractive and attention-consuming personal career. He wanted to make no unusual or overpowering appeals to his fellow men. He was dedicated to the work of revealing the heavenly Father to his fellow mortals and at the same time was consecrated to the sublime task of living his mortal earth life all the while subject to the will of the same Paradise Father. 129:3.6 It will also always be helpful in understanding Jesus' life on earth if all mortal students of this divine bestowal will remember that, while he lived this life of incarnation on Urantia, he lived it for his entire universe. There was something special and inspiring associated with the life he lived in the flesh of mortal nature for every single inhabited sphere throughout all the universe of Nebadon. The same is also true of all those worlds which have become habitable since the eventful times of his sojourn on Urantia. And it will likewise be equally true of all worlds which may become inhabited by will creatures in all the future history of this local universe. 129:3.7 The Son of Man, during the time and through the experiences of this tour of the Roman world, practically completed his educational contact-training with the diversified peoples of the world of his day and generation. By the time of his return to Nazareth, through the medium of this travel-training he had just about learned how man lived and wrought out his existence on Urantia. 129:3.8 The real purpose of his trip around the Mediterranean basin was to know men. He came very close to hundreds of humankind on this journey. He met and loved all manner of men, rich and poor, high and low, black and white, educated and uneducated, cultured and uncultured, animalistic and spiritual, religious and irreligious, moral and immoral. 129:3.9 On this Mediterranean journey Jesus made great advances in his human task of mastering the material and mortal mind, and his indwelling Adjuster made great progress in the ascension and spiritual conquest of this same human intellect. By the end of this tour Jesus virtually knew—with all human certainty—that he was a Son of God, a Creator Son of the Universal Father. The Adjuster more and more was able to bring up in the mind of the Son of Man shadowy memories of his Paradise experience in association with his divine Father ere he ever came to organize and administer this local universe of Nebadon. Thus did the Adjuster, little by little, bring to Jesus' human consciousness those necessary memories of his former and divine existence in the various epochs of the well-nigh eternal past. The last episode of his prehuman experience to be brought forth by the Adjuster was his farewell conference with Immanuel of Salvington just before his surrender of conscious personality to embark upon the Urantia incarnation. And this final memory picture of prehuman existence was made clear in Jesus' consciousness on the very day of his baptism by John in the Jordan. 129:4.1 To the onlooking celestial intelligences of the local universe, this Mediterranean trip was the most enthralling of all Jesus' earth experiences, at least of all his career right up to the event of his crucifixion and mortal death. This was the fascinating period of his personal ministry in contrast with the soon-following epoch of public ministry. 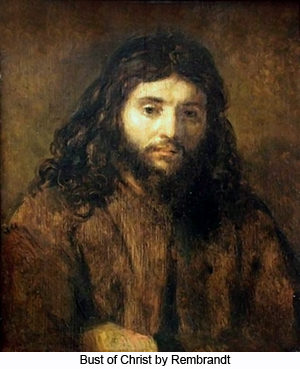 This unique episode was all the more engrossing because he was at this time still the carpenter of Nazareth, the boatbuilder of Capernaum, the scribe of Damascus; he was still the Son of Man. He had not yet achieved the complete mastery of his human mind; the Adjuster had not fully mastered and counterparted the mortal identity. He was still a man among men. 129:4.2 The purely human religious experience—the personal spiritual growth—of the Son of Man well-nigh reached the apex of attainment during this, the twenty-ninth year. This experience of spiritual development was a consistently gradual growth from the moment of the arrival of his Thought Adjuster until the day of the completion and confirmation of that natural and normal human relationship between the material mind of man and the mind-endowment of the spirit—the phenomenon of the making of these two minds one, the experience which the Son of Man attained in completion and finality, as an incarnated mortal of the realm, on the day of his baptism in the Jordan. 129:4.3 Throughout these years, while he did not appear to engage in so many seasons of formal communion with his Father in heaven, he perfected increasingly effective methods of personal communication with the indwelling spirit presence of the Paradise Father. He lived a real life, a full life, and a truly normal, natural, and average life in the flesh. He knows from personal experience the equivalent of the actuality of the entire sum and substance of the living of the life of human beings on the material worlds of time and space. 129:4.4 The Son of Man experienced those wide ranges of human emotion which reach from superb joy to profound sorrow. He was a child of joy and a being of rare good humor; likewise was he a "man of sorrows and acquainted with grief." In a spiritual sense, he did live through the mortal life from the bottom to the top, from the beginning to the end. From a material point of view, he might appear to have escaped living through both social extremes of human existence, but intellectually he became wholly familiar with the entire and complete experience of humankind. 129:4.5 Jesus knows about the thoughts and feelings, the urges and impulses, of the evolutionary and ascendant mortals of the realms, from birth to death. He has lived the human life from the beginnings of physical, intellectual, and spiritual selfhood up through infancy, childhood, youth, and adulthood—even to the human experience of death. He not only passed through these usual and familiar human periods of intellectual and spiritual advancement, but he also fully experienced those higher and more advanced phases of human and Adjuster reconciliation which so few Urantia mortals ever attain. And thus he experienced the full life of mortal man, not only as it is lived on your world, but also as it is lived on all other evolutionary worlds of time and space, even on the highest and most advanced of all the worlds settled in light and life. 129:4.6 Although this perfect life which he lived in the likeness of mortal flesh may not have received the unqualified and universal approval of his fellow mortals, those who chanced to be his contemporaries on earth, still, the life which Jesus of Nazareth lived in the flesh and on Urantia did receive full and unqualified acceptance by the Universal Father as constituting at one and the same time, and in one and the same personality-life, the fullness of the revelation of the eternal God to mortal man and the presentation of perfected human personality to the satisfaction of the Infinite Creator. 129:4.7 And this was his true and supreme purpose. He did not come down to live on Urantia as the perfect and detailed example for any child or adult, any man or woman, in that age or any other. True it is, indeed, that in his full, rich, beautiful, and noble life we may all find much that is exquisitely exemplary, divinely inspiring, but this is because he lived a true and genuinely human life. Jesus did not live his life on earth in order to set an example for all other human beings to copy. He lived this life in the flesh by the same mercy ministry that you all may live your lives on earth; and as he lived his mortal life in his day and as he was, so did he thereby set the example for all of us thus to live our lives in our day and as we are. You may not aspire to live his life, but you can resolve to live your lives even as, and by the same means that, he lived his. Jesus may not be the technical and detailed example for all the mortals of all ages on all the realms of this local universe, but he is everlastingly the inspiration and guide of all Paradise pilgrims from the worlds of initial ascension up through a universe of universes and on through Havona to Paradise. Jesus is the new and living way from man to God, from the partial to the perfect, from the earthly to the heavenly, from time to eternity. 129:4.8 By the end of the twenty-ninth year Jesus of Nazareth had virtually finished the living of the life required of mortals as sojourners in the flesh. He came on earth the fullness of God to be manifest to man; he had now become well-nigh the perfection of man awaiting the occasion to become manifest to God. And he did all of this before he was thirty years of age.